I managed to make it up to Annsville Circle to check out the eagles. 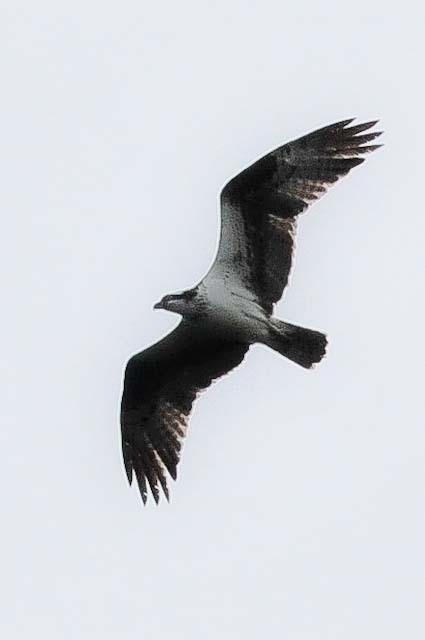 The bird flying over the eastern estuary was definitely an osprey. I got very excited when I thought an immie eagle was overhead at the Paddlesport Park. 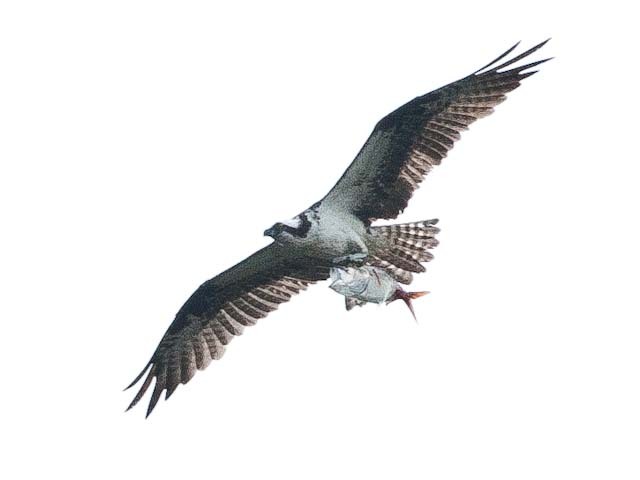 It was just another one of those numerous osprey sitings. This time the bird was playing talon tag with a seagull. 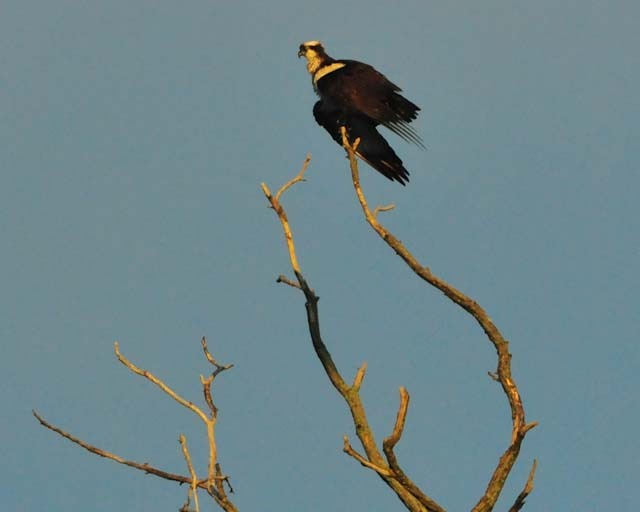 I included a few pictures of an osprey from a couple of weeks ago. These are probably all the same bird. The really overexposed picture was printed on water color paper and looked like a painting. The glossy print and internet versions do not do the photography justice. This entry was posted in Miscellaneous Wildlife. Bookmark the permalink.